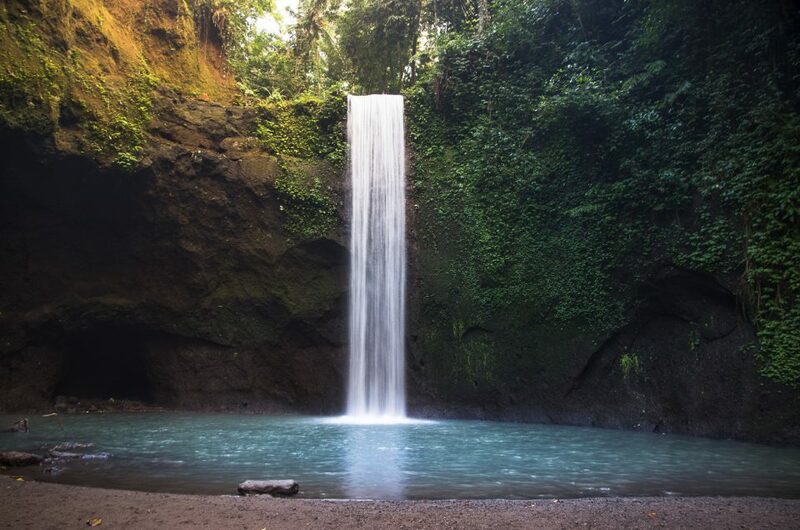 Roughly 1,5 hours North of the party paradises of Kuta you will find the small town of Ubud. While the centre is filled with tourists and touristic shops it isn’t hard to escape the crowds in Ubud. 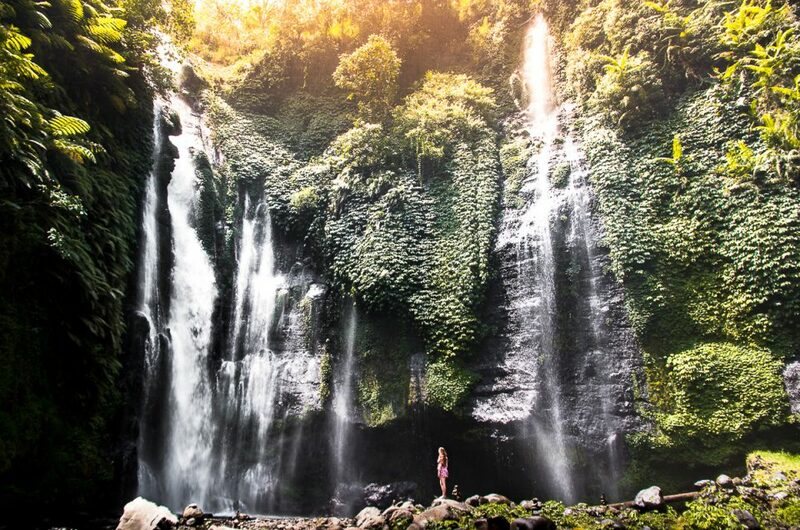 Drive half an hour North and you will find yourself between some of the most stunning rice terraces you have ever seen, drive 45 min east and explore stunning waterfalls such as the Tibumama Waterfall! There is a reason Ubud is such a touristic hotspot, and going to Bali, Ubud is a place that should be on your itinerary! Budget backpackers and solo travelers – For the budget backpacks and solo travelers we highly recommend booking a hostel. Hostels with dorms are a great way to keep your budget low, and meet other fellow travelers and backpackers. There are many hostels located in Ubud, check Hostelworld out here to check all the available accommodation. Some of the most well known and high rated hostels in Ubud are the Puri Garden Hotel & Hostel, and Puji Hostel, and to make it even better, both hostels have a swimming pool! For any kind of traveler – We have used AirBnB many times during our travels. From studios in Vietnam to room rentals in New Zealand, we have never been disappointed. During our stay in Ubud we stayed here at Kubu Sari Guesthouse. This guesthouse is perfect if you are looking for some more peace and quiet and is located 3km out of the town centre in the middle of some lush rice fields. If you are looking for something more budget, or something a lot more luxurious, AirBnB has it all, with often the fraction of a price compared to some similar accommodations on other booking websites! 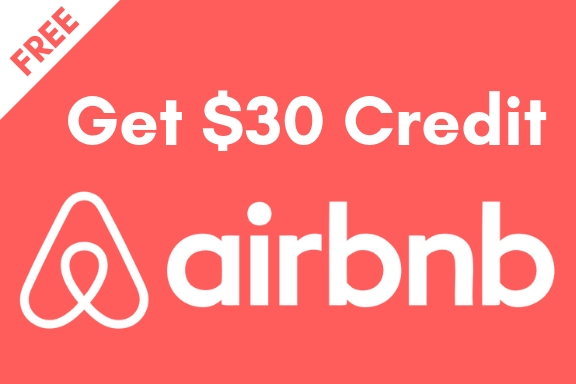 And to make it even better sign up here now for AirBnB to get a 30$ credit to be used on any of your future bookings! For the luxury seeker – If you are looking for a more luxury or a romantic getaway, don’t worry, we have not forgotten about you. Ubud is home to some of the most beautiful resorts in Indonesia, and there is enough luxury hotels and resorts to choose from. We highly recommend booking with Booking.com or Agoda to get the best deals! And don’t forget to check out Tripadvisor to find some of the most stunning and highly rated resorts in the area. Pura Tirta Empul, or the Tirta Empul temple, is located roughly 14km Northeast of Ubud. From Ubud, depending on traffic, it will take you roughly 30 – 45 min to get there. 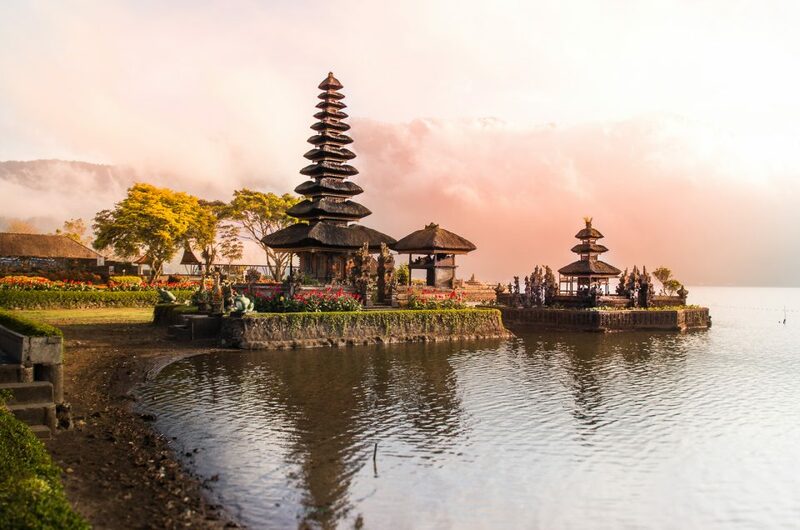 Visiting the Tirta Empul temple can be done in combination with the Tegalalang Rice Terraces as these are located roughly halfway between the temple and Ubud. Visit the Rice Terraces for sunrise, before the crowds come out, and head to the temple after! There are multiple ways to get to the Tirta Empul temple. Option 1: Rent a Scooter – Our recommended option if you feel comfortable riding a scooter through the hectic traffic in Bali. Renting a scooter is the most affordable and quickest option to get to Tirta Empul temple. Scooters can be rent from almost anywhere in Ubud, guesthouses or larger scooter rental companies are widely available in the town centre. You will get a helmet, or two helmets, included, and be sure to wear them as this is mandatory in Indonesia. From the Ubud town centre it is a short 40 min ride roughly to get there. 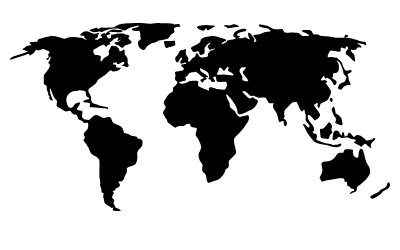 Be sure to either have internet and to use Google Maps, or to download your map offline to get the right directions! Expected costs: Scooters can be rent for 50K IDR – 100K IDR a day, depending on duration of rent and amount of cc’s of the bike. Option 2: By taxi or tour – Don’t feel comfortable riding a scooter, or planning to go with a bigger group? 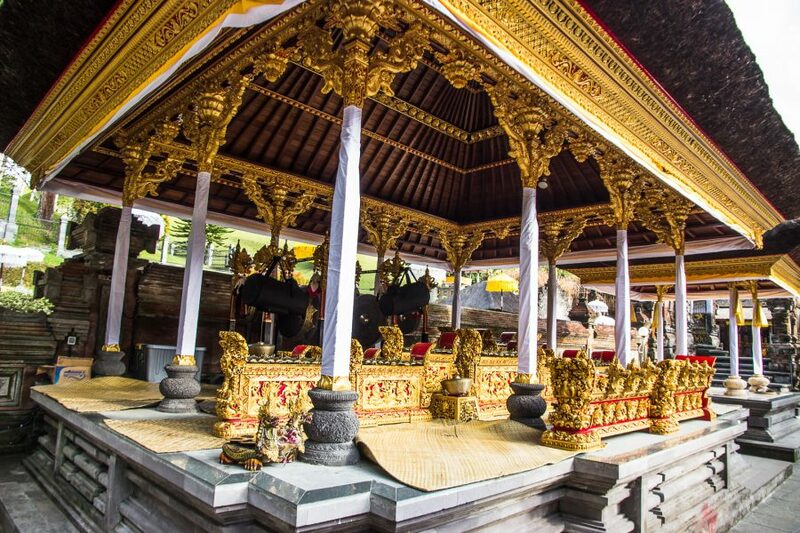 The best way to get to the Tirta Empul temple is by hiring a taxi service or to join a tour. Taxi’s are widely available in the town centre and your ho(s)tel or will be able to advise you on how much taxi services should cost. Besides that there are also many tour operators in the town centre through which you could book a tour to the Tirta Empul temple. As we haven’t used any taxi or tour services we are not able to advise you on the price. Once you arrive at the temple the first place you will see is the parking lot. There is assigned parking for your motorbike (should you decide to drive yourself). The cost of parking is 2000 IDR. From the parking lot you can see the entrance booth. Buy an entry ticket (15000 IDR per person) and walk a bit further to the direction of the temple. Before you head into the temple further you will find a sign with rules and a booth where you can grab a sarong to wear. Wearing a sarong is mandatory for both men and women, even if you are wearing long pants. There is no fee to rent the sarong, it is included in the price! From here you can wander around the temple freely. The temple is divided into three different sections: Jaba Pura (front yard), Jaba Tengah (central yard) and Jeroan (inner courtyard). 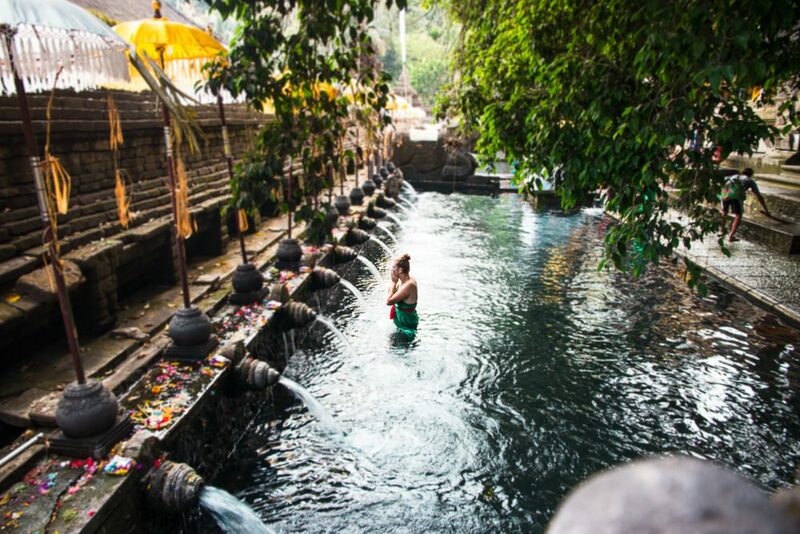 The most famous part, at least to the tourist, is Jaba Tengah, as this is where the pools are located and the purification ritual takes place. 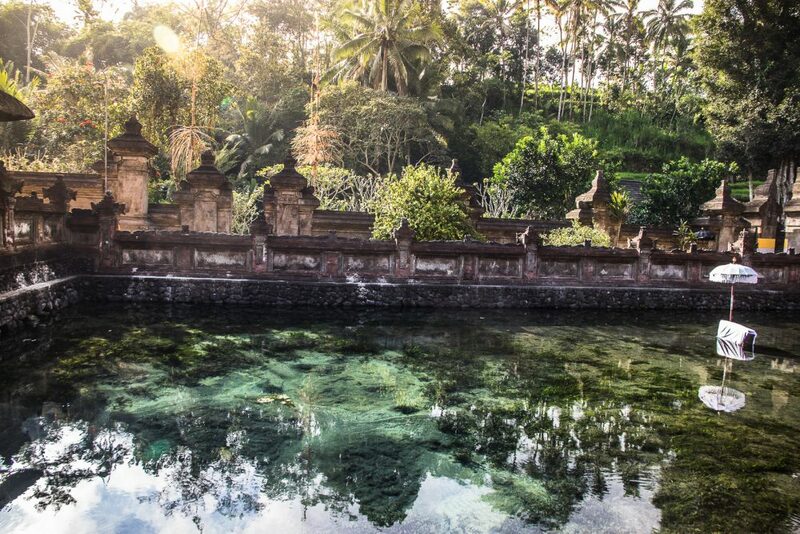 Jeroan, located behind Jaba Tengah, is where you can find the holy spring, a stunning and clear spring, this is the water that is used for the purification ritual. While Jaba Tengah is most likely the highlight of your visit, I would highly recommend walking around the temple to see the different areas, including the holy spring and the koi pond. Women are not allowed to enter during their period. So now that we have covered the rules, if you are wishing to proceed with the purification ritual you will have to rent the special sarong. When you look at the purification pools, on the right hand side you will see a booth. Here you will be able to to rent a sarong and a locker for 25K IDR together. There is a changing stall in the back of the locker room. For women it is advised to tie the sarong around their neck so the sarong will stay on during the ritual. Now head back to the baths so you can start the ritual. If you have no clue what to do, like I did, don’t worry, just stand there and look around and someone will approach you to help you. A friendly man approached me asking if I wished some guidance in the ritual, and after the ritual I would give him a small donation. He then continued to inform me on the background of the purification ritual and the process of the purification ritual. The small “donation” also included the offering, as mentioned in the rules above. Begin with meditation. Take place in front of the altar and hold the offer that you will sacrifice (a small bundle filled with flowers and a stick of incense) on chest height while you close your eyes and meditate. Offer a prayer to the gods, the water spirits and your ancestors and lastly, when you are done you make a wish. Once you have made your wish you place the offering on the altar in front of you. The man then continued to splash some holy water on my with some flower leaves that he later tucked behind my ears. After this you will enter the first pool. In the first pool there are 13 different fountains, you will begin on the left hand side. However, skip fountain 1, 11 and 12. The fountains of number 11 and 12 are for the rituals relating to the dead. Fountain number, however, 13 can be done. At each fountain you will repeat the same ritual: fold you hands together and place them on your forehead while you say the word “ohm” three times. After this cup your hands to gather some water from the fountain to rinse your head and face, also repeat this three times. Please note: I skipped the following part as there have been concerns of the safety of the water, but this was a personal decision. Then you sip from the water three times and continue to spit the water out. After that you drink a sip of the water three times and swallow it (I am quite sure that this is what he said). Lastly, you stick your head under the fountain completely for protection and prosperity. After you have completed this you can continue to the next fountain to repeat the process. When you complete the first pool you continue to the next pool (watch out since it is slippery) and continue to follow the same process as described above. You then continue to the last pool, but here you don’t start on the left, but on the right hand side, so you will complete the process in reverse order. This pool is meant for cleansing the body of any illness. I was informed that the most left fountain was the most powerful one that this is the fountain Tirta Empul, after which the temple was named after, so be sure to spent some extra time here to complete the process. After you have completed the ritual, sit down and thank the gods, the water spirits and your ancestors once again before changing back into your normal clothes. I have to admit, as the Balinese man provided me which a large amount of information, and at times I had trouble understanding completely what he meant, that I had trouble remembering the exact meaning of the different spouts and meanings of the different steps of the ritual. I would highly recommend waiting for someone to approach you to explain to you the process and the meaning of the ritual as it will help you gain a deeper understanding of the purification ritual, and actually follow the right steps of the ritual. After the ritual I gave the Balinese man a donation of 50K IDR, as I was grateful for his help and the unique experience. Opening hours: opening hours seem to change on a regular basis. We arrived at 8am and the temple was open for entry, however, many websites state that the Tirta Empul temple is open between 9am – 5pm. Entry fees: the entry fee is 15K IDR per person and can be paid at the entrance booth. 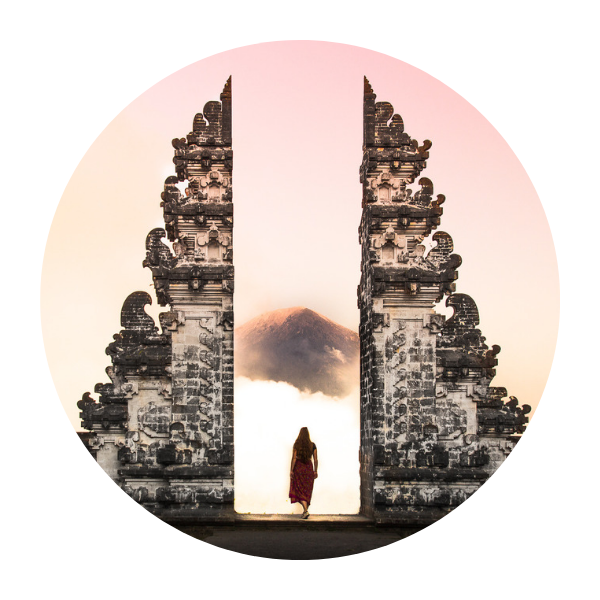 Purification ritual fees: if you are planning on doing the purification ritual, expect to pay another 25K IDR for a locker and sarong rental, and another 50K IDR donation if you wish to seek guidance on the ritual. Parking fees: the parking fees are 2k IDR. Dress code: As this is a place of worship be sure to dress modestly. The rental of a sarong is included in the price to cover up your legs, but also be sure to wear a shirt with sleeves to cover up your shoulders. Restricted areas: there are a large amounts of restricted areas in the temple that you are not allowed to enter as these are reserved for praying, be sure to respect these rules. Bring swimming clothes or a set of dry clothes: If you are planning to do the purification ritual be sure to either bring a bathing suit/shorts or a set of dry clothes for afterwards. I definitely be trying this if I ever visit Bali. Thanks Nicola! I could not recommend it more, such a unique experience! Wow, it’s amazing to think this temple has been around over one thousand years – how special for you to visit. 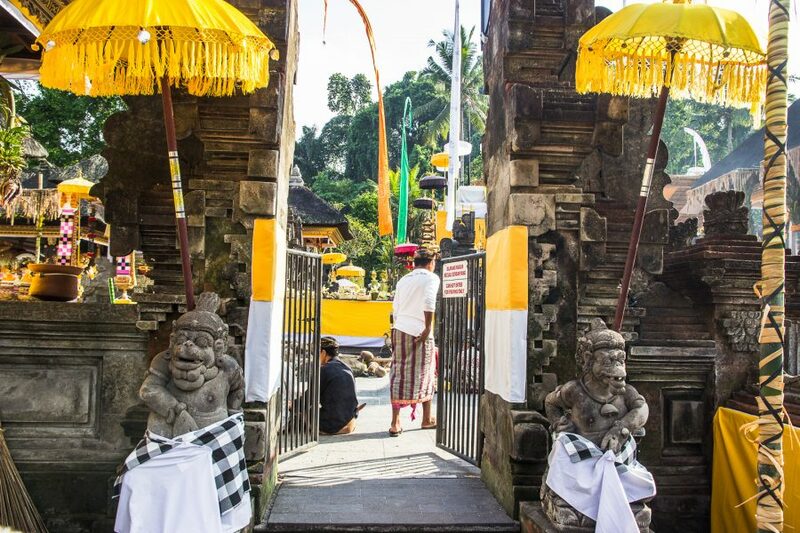 This is such a thorough post that covers pretty much everything you’d need to know about a visit to Tirta Empul Temple. I love how you were very respectful of the locals and their traditions. Thanks for the tips and your photos are beautiful – what an experience! Thanks Alyse, it was such a unique experience! I think this will by far be one of my highlights of my trip to Bali.